The law about lepers had a profound meaning as respects* the forms of the disease itself, and of the inspection by the high priest. The interpretation of this sense it will be our task to ascertain.Marcion's labour, however, is to object to us the strictness of the law, with the view ofmaintaining that here also Christ is its enemy—forestalling its enactments even in His cure of the ten lepers. ....Id., at 326. Forasmuch, then, as He was Himself the veritable High Priest of God the Father, He inspected them according to the hidden purport of the law, which signified that Christ was the true distinguisher and extinguisher of the defilements of mankind. However, what was obviouslyrequired by the law He commanded should be done : " Go," said He, " show yourselves to the priests." ' Yet why this, if He meant to cleanse them first 1 Was it as a despiser of the law, in order to prove to them that, having been cured already on the road, the law was now nothing to "them, nor even the priests ? Well, the matter must of course pass as it best may,6 if anybody supposes that Christ had such views as these !7 But there are certainly better interpretations to be found of the passage, and more deserving of belief: how that they were cleansed on this account, because they were obedient, and went as the law required, when they were commanded to go to the priests; and it is not to be believed that persons who observed the lawcould have found a cure from a god that was destroying the law. Id., at 327-28. When afterwards " a certain man asked him, ' Good Master, what shall I do to inherit eternal life ?'" [Jesus] inquired whether he knew (that is, in other words, whether he kept) thecommandments of the Creator, in order to testify that it was by the Creator's precepts that eternal life is acquired. Then, when he affirmed that from his youth up he had kept all the principal commandments, [Jesus] said to him : " One thing thou yet lackest: sell all that thou hast, and give to the poor, and thou shalt have treasure in heaven; and come, follow me. "1 Well now, Marcion, and all ye who are companions in misery, and associates in hatred with that heretic, what will you dare say to this? Did Christ rescind the forementioned commandments: " Do not kill, Do not commit adultery, Do not steal, Do not bear false witness, Honour thy father and thy mother?" Or did He both keep them, and then add3 what was wanting to them ? This very precept, however, about giving to the poor, was very largely diffused through the pages of the law and the prophets. This vainglorious observer of the commandments was therefore convicted of holding money in much higher estimation [than charity]. This verity of the gospel then stands unimpaired : " I am not come to destroy the law and the prophets, but rather to fulfil them. "6 He also dissipated other doubts, when He declared that the name of God and of the Good belonged to one and the same being, at whose disposal were also the everlasting life and the treasure in heaven and Himself too—whosecommandments He both maintained and augmented with His own supplementary precepts. He may likewise be discovered in the following passage of Micah, saying : " He hath showed thee, O man, what is good ; and what doth the Lord require of thee, but to do justly, and to love mercy, and to be ready to follow the Lord thy God ? "7 Now Christ is the man who tells us what is good, even the knowledge of the law. " Thou knowest," says He, " the commandments." " To do justly"— "Sell all that thou hast;" "to love mercy"—"Give to the poor;" " and to be ready to walk with God"—" And come," says He, " follow me." Id., at 332-33. Note here Tertullian also quoted from within the famous Matthew 5:17-19 -- that Jesus says He did not come to abrogate the Law but to fulfill it, and not one jot or tittle will be taken away until a new heavens and earth. 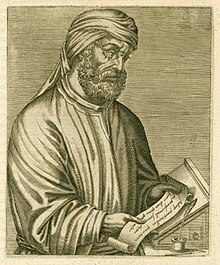 Incidentally, Tertullian has another book I believe is falsely attributed to him -- Adversus Judeos --Against the Jews. It appears unfinished and a thief tried to complete it. What betrays this work is not authentic is that it contains portions completely opposite of what we read above. Tertullian in this work now claims Jews are replaced by Christians, the OT is defunct, including Sabbath. For information on this, see "Against the Jews." There are silly anachronisms that prove a much later hand than one living in the 200s was involved. For example, the hand supposed that the Romans had not yet conquered Britain as of the 200s when Tertullian lived, when it was already 200 years in their hands in Tertullian's day. Id. Thus, there is every reason to believe this work was created in the 300s when distancing Christianity from Judaism became government policy by Rome, especially Constantine. The English translation is found at this link. Unworthy of Tertullian are claims that Abraham and Enoch did not keep Sabbath, which is (a) unproven and (b) unlike Tertullian's normal reasoning from proof in the text. See Id., ch. 4. A similar fraud was written in Tertullian's name -- De Idolatria. There Tertullian says supposedly: "Even the Jewish celebrations, which once were agreeable to God, are now forbidden." Id., Section VI, paraphrased at 223. This says, in effect, God intends all Jewish festivals to cease - which clearly is a Roman doctrine of the 300s, not a Christian one of the early 200s. Again, this is an obvious adulteration to promote the 'antiquity' of evolving later orthodoxy. Remember also that the opening paragraphs of Against Marcion are a complaint by Tertullian that someone took hold of a prior version of Against Marcion, and made unwanted edits to it and published it which Tertullian complains about. There is sometimes no safeguard to know what parts of a work are authentic or not. This proves that when statements as Tertullian in Against Marcion -- in what scholars accept as the likely authentic version -- do survive which are contrary to later orthodoxy against the Law's continuity -- those words of Tertullian upholding the Law -- despite Rome's later effort vigorously to do away with Jewish legal rules in the 300s, means there were just too many copies of Against Marcion to successfully alter it in the 300s. It was a well-read book, with numerous surviving copies, as opposed to these other works attributed to Tertullian which he never apparently ever wrote. Thus, those portions of Against Marcion -- the most widely published work of the second century -- are unquestionably authentic.